Added by Bill Bowman on April 6, 2018. Attorney Bob Smith, right and Parker CEO Roberto Muniz at the Zoning Board meeting. 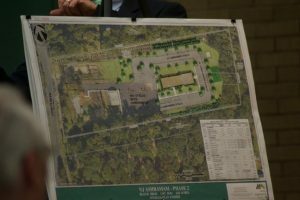 Applications for a new temple on Elizabeth Avenue and a major expansion of a Dellwood Lane nursing home were approved April 5 by the Zoning Board of Adjustment. 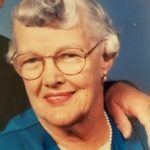 The largest of the two applications was submitted by Francis E. Parker Memorial Home, Inc., – formerly known as the Margaret McLaughlin McCarrick Care Center – which needed permission to build a new, 3-story, 75,000-square-foot extension to the current building. Jim Zauner, the facility’s administrator, said the expansion was needed because “space is tight” in the existing building. “This was built in 1987 when most of the people living there were more mobile,” he said. The new, “L-shaped” building will house the same number of beds – 120 – as the current structure, but instead of the current semi-private rooms, each patient will have their own room. Also, the center will expand its service to include adult day care, with about 8,000 square feet of the new space dedicated to that new offering, the board was told. The new service will also have an aqua center for therapy, the board was told. The center will still provide rehabilitation services. Each of the three floors will house about 25,000 square feet of space, the board was told. The plan also calls for the expansion of current parking and addition of new parking, which caused a bump in the approval process. 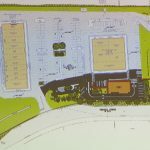 Led by member Cheryl Bergalio, the board required Parker to widen travel lanes in the parking lot from the proposed 24 feet to as close to 26 feet as possible. The existing building will be renovated, engineer Michael Thomas told the board. The project’s architect, Steven Leone, said a dining facility will be added to the current building. 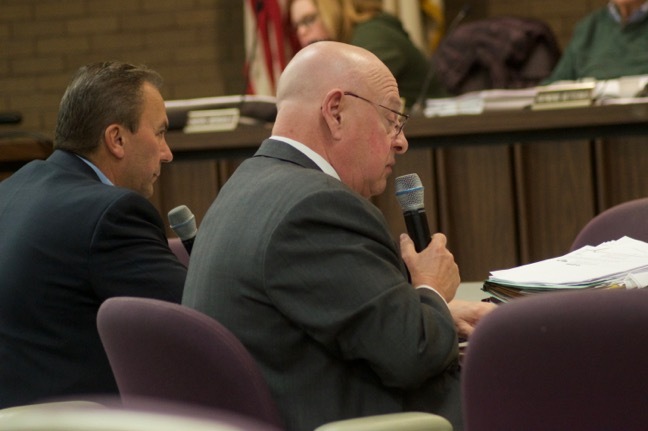 The applicant’s attorney, Bob Smith, told the board that the project is “good for the Franklin Township community,” and will lead to “better services” for the elderly. An aerial rendering of the proposed temple on Elizabeth Avenue. The other application heard that evening was submitted by the SRI Ramanuja Mission, which sought permission to build a 6,870-square-foot temple on its 6-acre property. The tract is bounded by Elizabeth Avenue and Amwell Road. About 1,200 square feet of the space will be a worship area, the board was told. There will also be a statuary area for the group’s deities, an area for the priests and a common area. The temple will also have a tapered, 20-foot-high gold dome on its roof, the board was told by Zac Moros, the project’s architect. The mission currently uses a 1,200-square-foot structure that was built two years ago and does not meet the group’s needs, Shyam Sreenivasan, the mission’s executive director, told the board. “There are problems with the existing structure,” he said. “Even though we are a small congregation, people have to leave their footwear outside,” which is inconvenient in the winter. 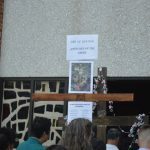 There’s also no coat room, so worshipers leave their jackets piled along the perimeter of the worship area, which “clutter the area,” he said. There are also not enough bathrooms to accommodate worshipers as they leave, he said. Once the temple is built, Sreenivasan said, the current structure will be used as a meditation area. He said weekdays see about 10 to 15 people visit the temple, while on weekends that number grows to 60 to 80 people. He said the mission has three special events during the year, one on the Sunday of Memorial Day weekend, one on New Year’s Day and one that falls around Christmas and is dictated by the lunar calendar. The board built in to its approval requirements that the temple hold no more than 175 people at one time – for which its septic system is rated – and that it have only the three festivals about which it was told.